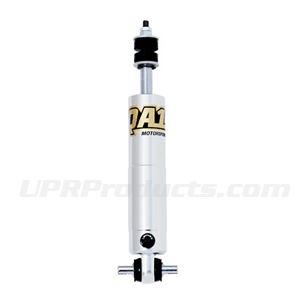 * Old QA1 part # MU7855P Description: Stocker Star - Adjustable Shock The only machined aluminum, externally adjustable, stock mount shock available on the market today, This performance-minded shock is dominating classes where stock style suspensions are required. No one else gives you the bold clean styling of our Aftermarket Dress Ups, Suspension and Performance Parts for your American Muscle Car like UPR Products! Fits these Vehicles: 1979 1980 1981 1982 1983 1984 1985 1986 1987 1988 1989 1990 1991 1992 1993 1994 1995 1996 1997 1998 1999 2000 2001 2002 2003 2004 GT V8 Mustang Roush & Saleen Vehicles.